Panasonic's edge-lit TX-L37V20B is one of its thinnest and most attractive LCDs to date. A metallic bezel and 45mm-deep cabinet house a fine feature count that includes both Freeview and Freesat HD tuners, plentiful multimedia options including HD video recording to USB and Panasonic's top-level picture processing suite. There's also a healthy suite of picture calibration tools, one area in which Panasonic has been rather miserly on previous LCD generations. If £1k price tag is a bit steep for you, Panasonic has a range of 'designer' edge LED models, the D28 series, available in 37-inch, 32-inch, 22-chin and 19-inch flavours, with the 32-inch and smaller models also available in a variety of colours, including purple and white. 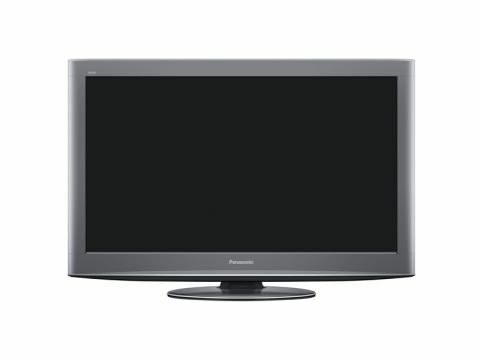 The more conventional D25 series still use edge LED lighting and include Panasonic's first 42-inch LCD TV. You can make the most significant savings, though, by heading further down Panasonic's range to its CCFL-lit LCD TVs, as represented in decreasing order of features by the G20s (which have Freeview and Freesat HD dual tuners), the S20s (Freeview HD only) and finally the X20s, which don't have Freeview HD or any significant picture processing.